No Limit Texas Hold'em: Basic Tips and Techniques - Casino Answers! Becoming a winning player at no-limit Texas Hold’em isn’t easy. You need both skill and the mental fortitude to “play like the pros.” Poker, like all gambling, requires luck, but unlike roulette and craps, you’re playing against other players. An experienced player doesn’t get upset at “bad beats.” They know, as long as they’re playing perfect poker, they’ll win in the long run. If you’re planning to become a better player, the internet is a goldmine for strategies to advance your game. 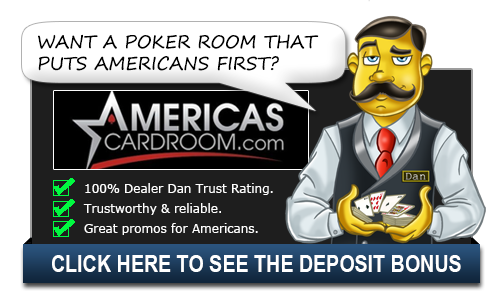 If you’re playing Texas Hold’em live, you need a different skill set then if you’re playing online. That is, tells (physical responses) come in to play. In brick and mortar games, try to delve into the other person’s mind. Look them in the eye, and analyze their style. Try to make them nervous, or even upset in some cases. Make mental notes on what they’re doing and when they’re doing it. Unlike online play, you need to extremely attentive to body signs. Remember, the pros don’t play like the fish do. Inexperienced players repeat the same mistakes again and again. This is where you want to get your profit, not from the pros. Professional players will constantly change up their game in accordance to the atmosphere at the table. You can usually tell when one of these “sharks” is playing against you. Don’t treat poker like a roulette wheel. You’re bound to lose money this way. Instead of wishing for a good hand, or playing out of boredom, make educated choices. Also, never drink alcohol at the table (unless you want to lose your buy-in.) If you feel antsy, or tired, just get up and walk away. This is especially important in cash games, considering the natural volatility of the game. If you truly want to be a winning player, learn how to adapt to certain situations. Is the table being too tight? If so, play more aggressively. If the table is playing too loose, sit back and wait for a premium hand. Always be prepared to lose you buy-in, but don’t give it up without a fight. Flexibility is crucial in poker. Professional players will never show their cards. If they do, it’s to psyche out their opponents. They understand poker is a game of missing information. When they show their hand, they’re basically giving away valuable information. The same goes for small talk at the table. Pros won’t be very chatty unless they’re trying to take advantage of you. Be prepared to be silent and mysterious. Don’t let your ego get the better of you at the table. If you suffer a bad beat at the table, just toss it up to bad luck. Whatever you do, don’t ‘tilt’ away your bankroll. That is, don’t play like a maniac if you suffer a loss to an inferior player. Instead, bide your time, and look for another opening to take advantage of their inexperience. The pros understand this concept, that’s why they’re pros. Remember that there is no really right or wrong way to play the game. What works well for you, may not work for someone else, and vice versa. Always try to keep your focus only on the game, and always be prepared for the unexpected. Poker is a game of patience and aggression. You’ll have to resign yourself to fold the majority of your hands. Be attentive; never lose your focus, and if you do, leave the table. You can’t afford to let your mind wander. With time and practice, these techniques will become second nature to you.